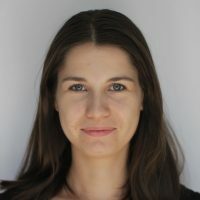 Cătălina Albeanu is digital editor at Decât o Revistă (DoR), a narrative journalism magazine devoted to telling the stories of modern-day Romania. Albeanu, Cătălina. "Being responsible for what we don’t know." Nieman Journalism Lab. Nieman Foundation for Journalism at Harvard, 23 Dec. 2018. Web. 19 Apr. 2019. Albeanu, Cătălina. "Being responsible for what we don’t know." Nieman Journalism Lab. Last modified December 23, 2018. Accessed April 19, 2019. https://www.niemanlab.org/2018/12/being-responsible-for-what-we-dont-know/.